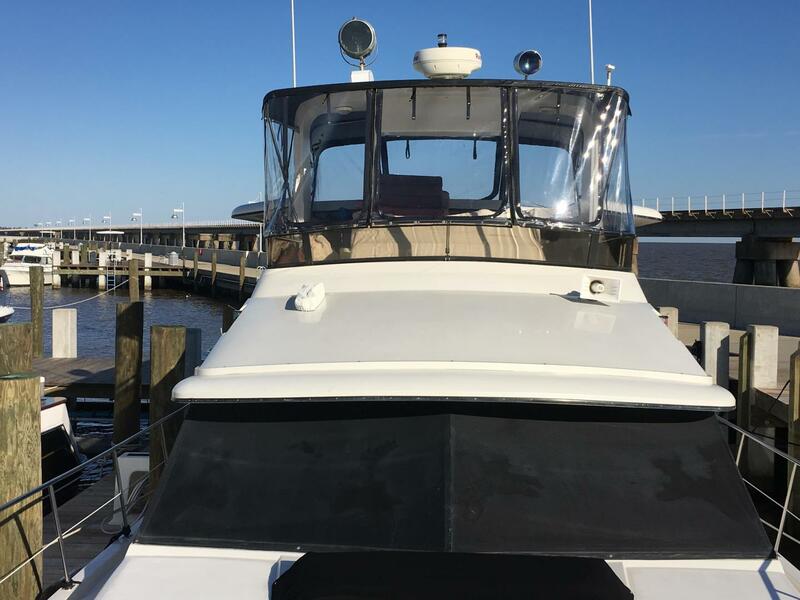 It has new top, new eisenglass in bridge, bottom job was done around 1 1/2 years ago, the rub-rail was re-painted a few years ago, and it is loaded out with many other updates ! 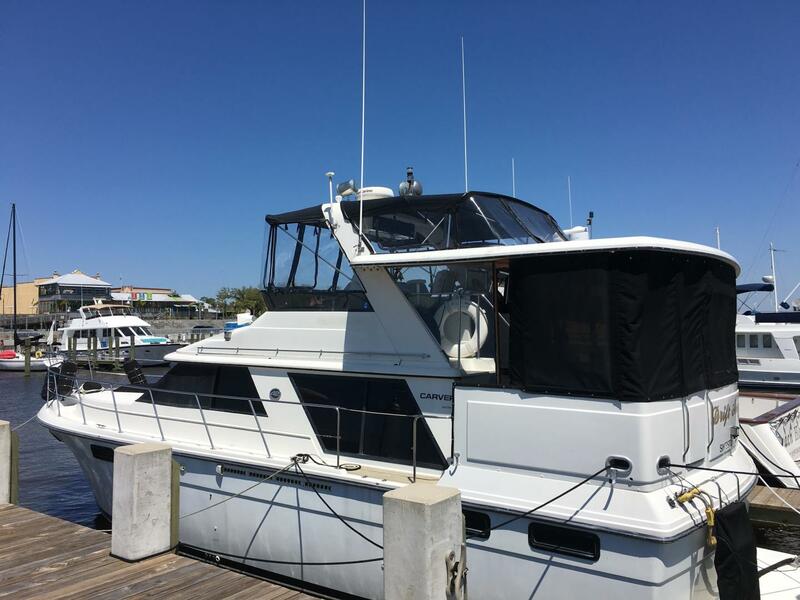 The Carver 42 Enclosed Aft Cabin has a spacious command bridge featuring comfortable seating for eight adults, arranged fore and aft of the walk-around command console. 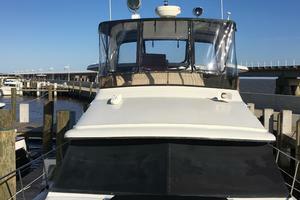 Skippers will appreciate the intelligent layout of the console and its full instrumentation, as well as the raised helm seat which provides unobstructed visibility. A convenient cocktail table is ideal for on-the-bridge entertaining. 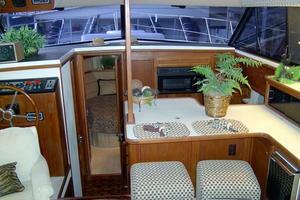 And sun lovers will enjoy the foredeck double-width padded sunlounge, accessible by wide walk-around side decks. 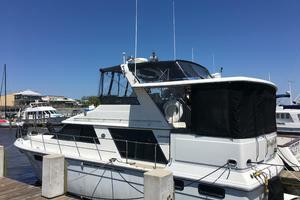 Owners and guests will also enjoy the roominess of the 42's large Enclosed Aft Cabin. A full 7 x 13-foot area provides the perfect environment for all types of open-air entertaining and dining. 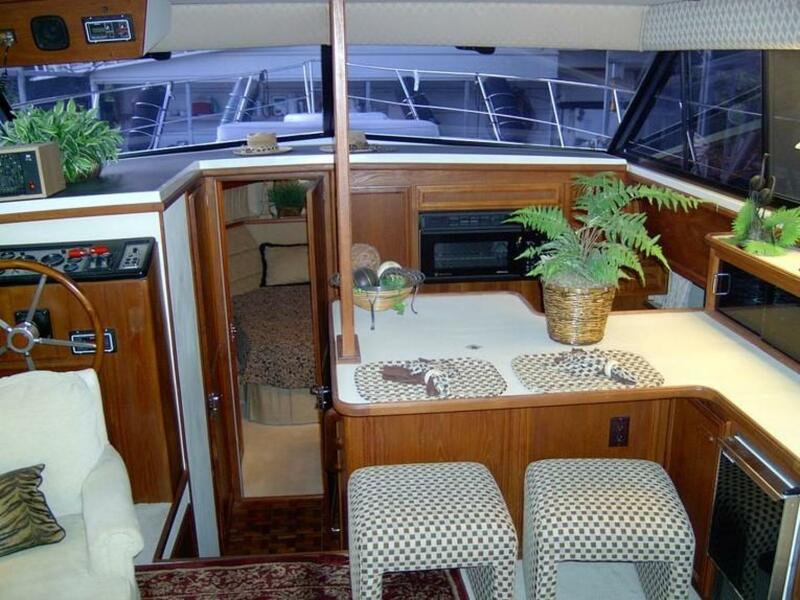 Belowdecks, the 42's plush main cabin resembles a luxurious hotel suite, with color-coordinated carpeting, upholstery and draperies, plus hand-rubbed teak bulkheads and trim. 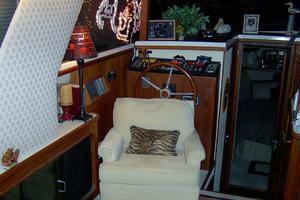 Its salon features a comfortable sofa-lounge which converts to a double berth; a pull-out gateleg dining table and cocktail table; an optional lower-station helm with designer wheel and anodized aluminum control panel; a full-size wetbar with bottle and glass storage; and a beautifully hand-crafted teak entertainment center with optional color TV and stereo components. 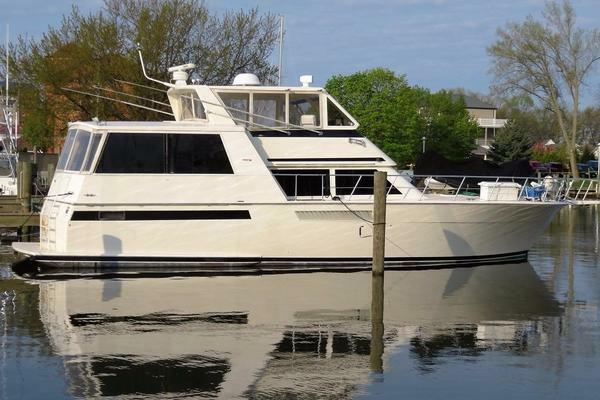 The 42's fully equipped galley would delight even the most sophisticated chef, and features a double-door refrigerator, a deep double-basin stainless-steel sink, a three-burner electric stove and combination convection- microwave oven with exhaust hood, and abundant counter and storage space. 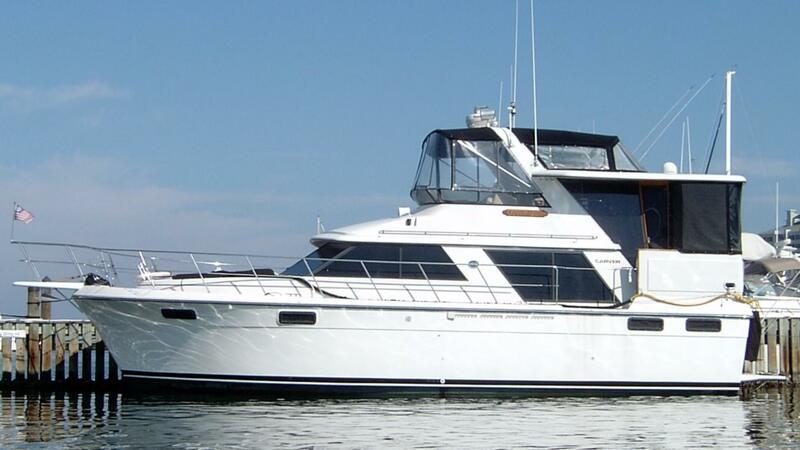 The 42 Enclosed Aft Cabin sleeps six adults in comfort with luxurious accommodations. 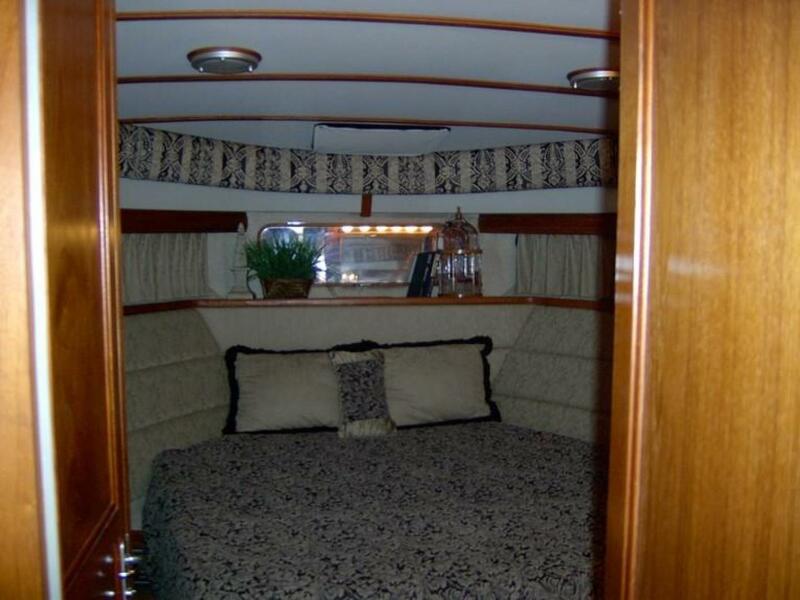 The master stateroom forward features a choice of a large double berth or V-berth, two large hanging lockers, and convenient cabinet and drawer storage. 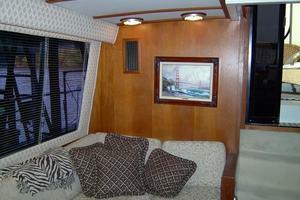 In addition, the stateroom provides private access to the fully equipped head compartment. 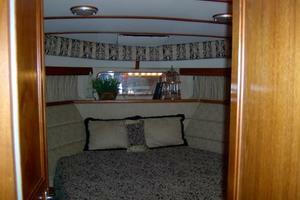 The midship stateroom is available in two configurations. 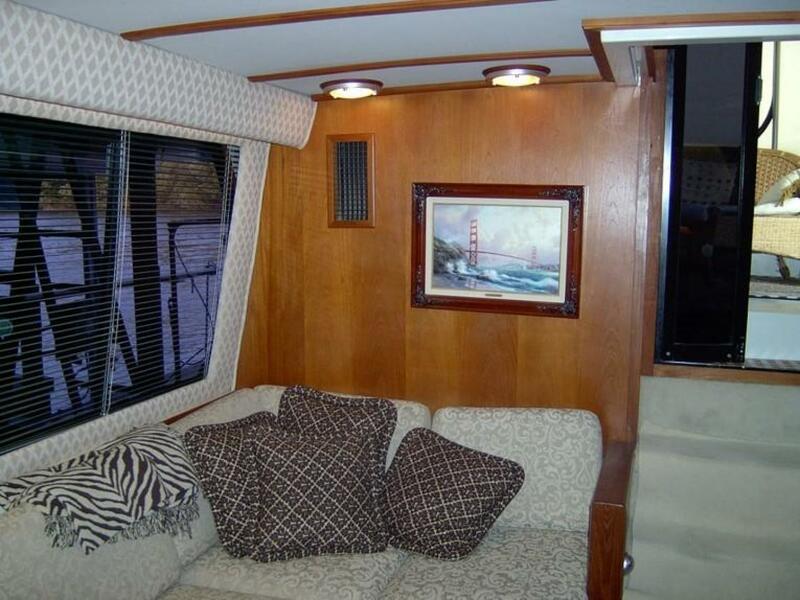 As a guest stateroom with fore-and-aft double berth, or as a study with upper-and-lower berths and a unique built-in teak desk. 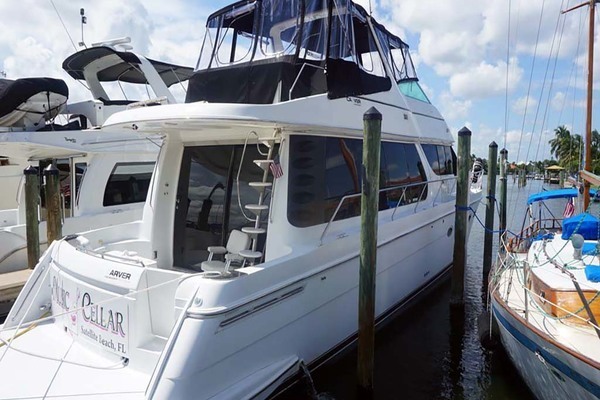 Finishing touches to this one-of-a-kind motor yacht include rich teak parquet flooring in the galley and head compartment; imported Italian sinks, hardware and fixtures; and a walk-in engine compartment for easy servicing. Who needs a getaway place from all the city hustle and bustle? 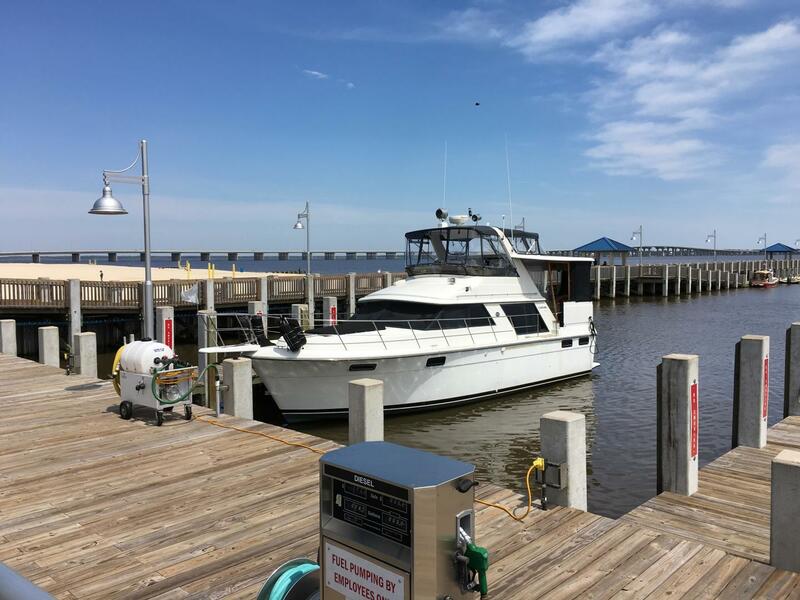 This beautiful boat has two queen suites at each end, 2 heads, complete galley, salon, bar, aft cabin with ice maker and entertainment unit that we use as a sun room, enclosed bridge, inside was done by interior designer and there is also a washer and dryer. It is furnished with a 12 place setting of Dansk dishes, silverware, stemware, pots and pans, nice towels, very nice bedding, rugs. 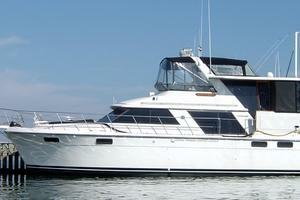 This boat has been very well taken care of. 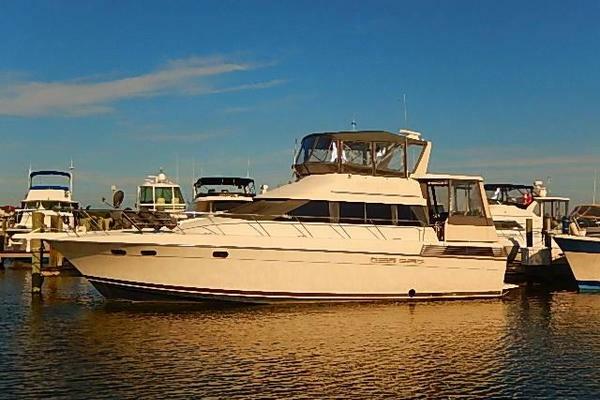 Used mostly as a floating Condo, this would be perfect for extended or weekend cruising . 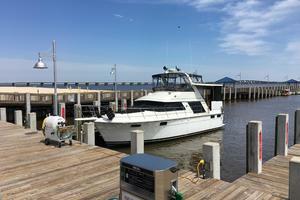 The Owners have taken immaculate care of this vessel. 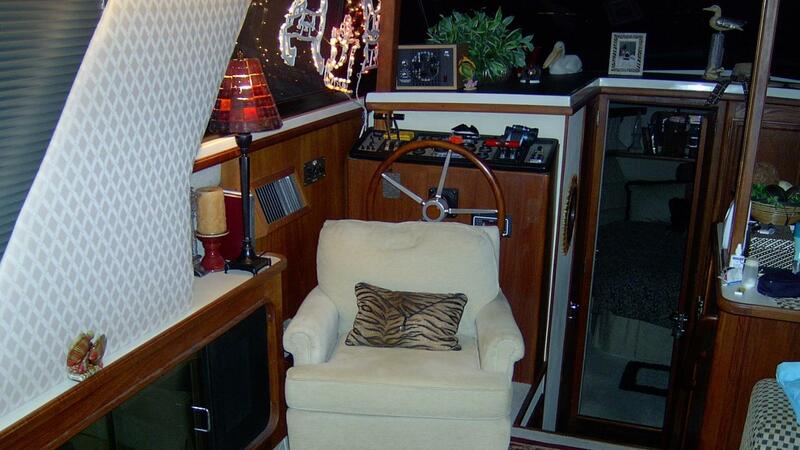 The boat shows much newer than its year. Also a very spacious Looper.